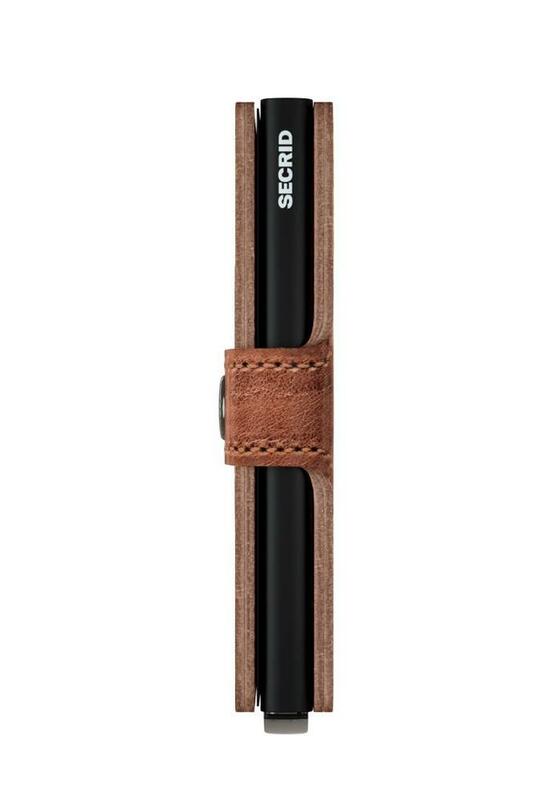 Secrid Miniwallet Dutch Martin Whiskey. 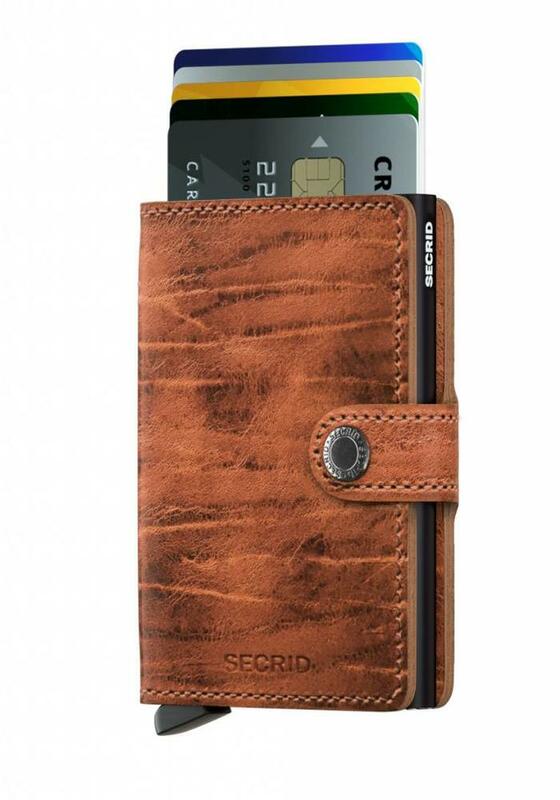 The leather of this Miniwallet has been designed and modified especially for Secrid. The hard carnauba wax gives the Dutch Martin a distinctive and unique look. 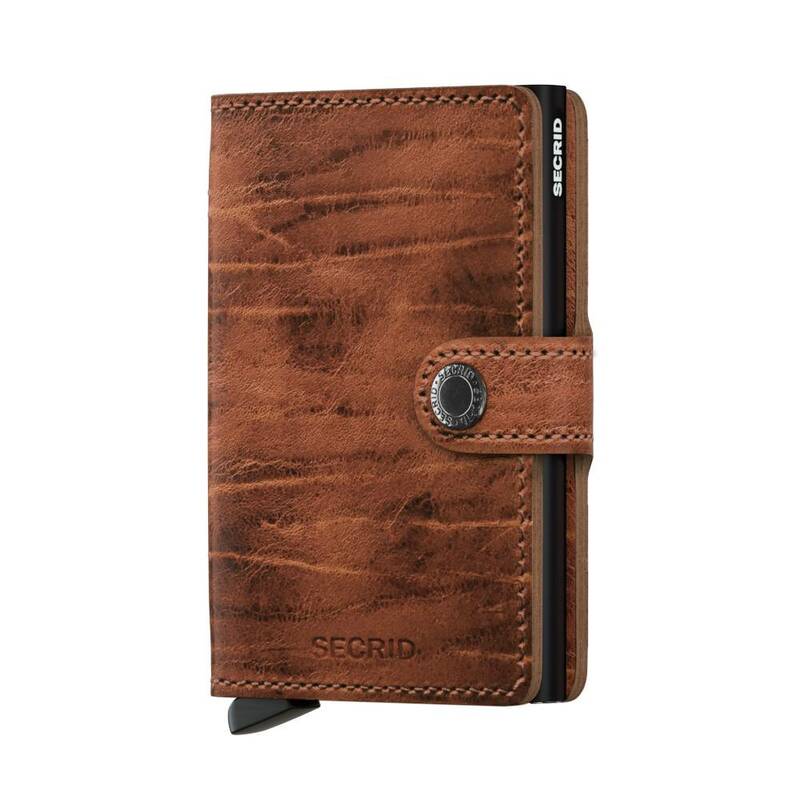 The Secrid wallets provide space for some 5/6 cards in the cardholder (the aluminum part) and in the leather boxes there are also at least 2 cards. 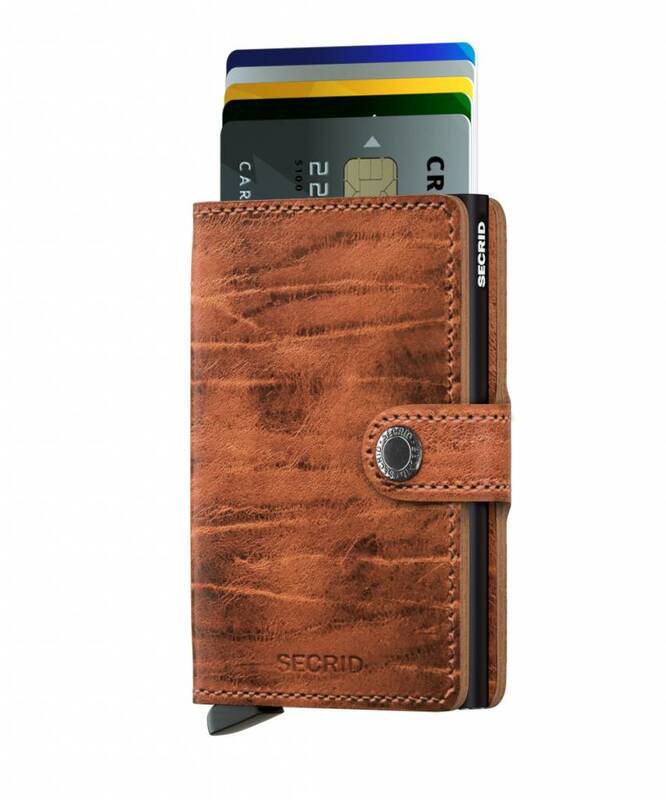 Your cards in the cardholder are also protected against unwanted reading! 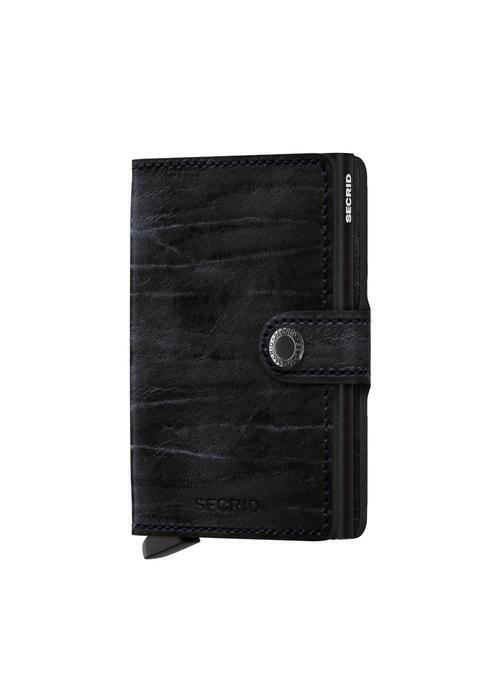 Demand money can be stored in the plastic holder. Coins can be stored in one of the learning boxes. Designed and made in The Hague. 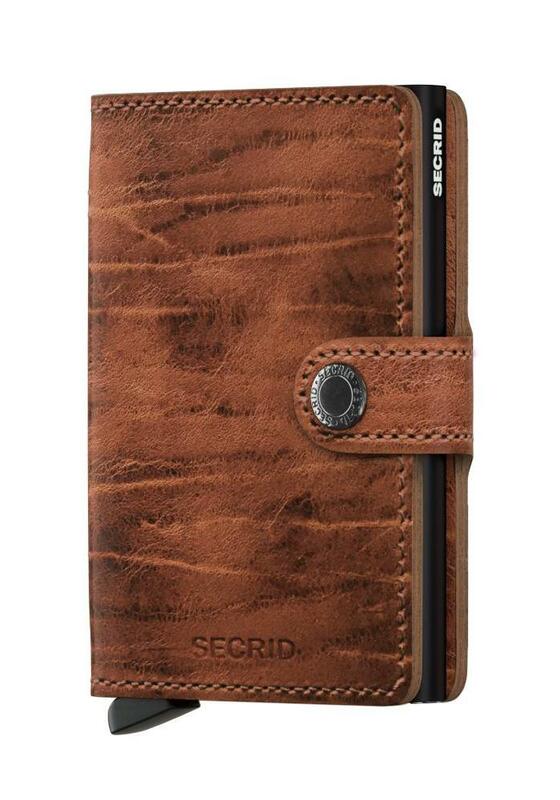 The Secrids are also made in a social workshop so this beautiful product is also completely socially responsible!